Here’s what’s up in the world of TV for Tuesday, January 24. All times are Eastern. 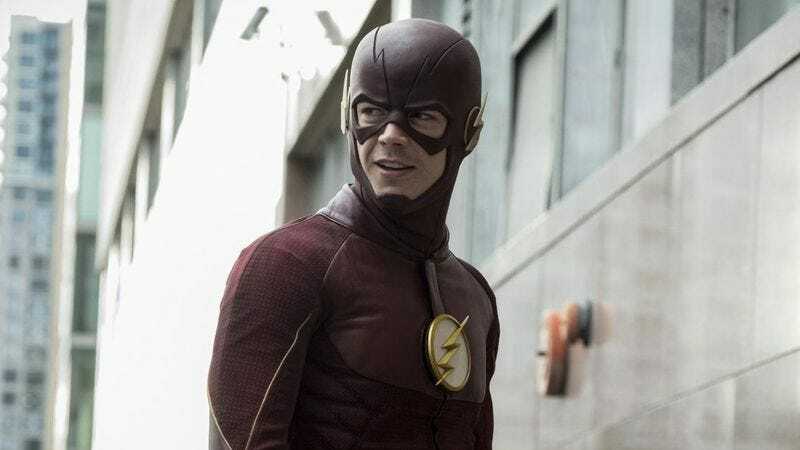 The Flash (The CW, 8 p.m.): The Arrowverse or CWverse or Berlantiverse or whatever the official term is returns tonight with what’s arguably the strongest of its shows, The Flash. In the third-season winter premiere, Barry faces down a villain named Plunder, who we’re guessing will be familiar to anyone who’s read the comics. The A.V. Club’s resident Speedster Scott Von Doviak will be on the review beat per usual, clacking away on his keyboard at supercritic speed. DC’s Legends Of Tomorrow (The CW, 9 p.m.): The Berlanti madness continues immediately following The Flash with DC’s Legends Of Tomorrow, whose back half of the second season returns with a new time slot. We formally welcome the Legends into the Tuesday fold, as well as their AVC Time Master—er, TV critic—Oliver Sava. Face Off (Syfy, 9 p.m.): Face Off’s structure isn’t all that different from Project Runway or any other reality competition that relies on the artistic skills of its contestants rather than their penchant for melodrama. But the competitors’ chosen medium—horror and sci-fi makeup—has always helped the show stand apart from its brethren. The 11th-season premiere requires the latest batch of makeup artists to also work with green-screen technology for the first time in the show’s history. Does this mean Face Off will soon be venturing deeper and deeper into the uncanny valley? Let’s hope not. My Big Fat Fabulous Life (TLC, 9 p.m.): Whitney Way Thore continues her journey to lose weight and combat body-shaming for a fourth season. The show has been successful enough to warrant a two-hour countdown special, which airs at 7 p.m. on TLC. Outsiders (WGN, 9 p.m.): It may be a show about mountain men, but Dennis Perkins praised the first season of Outsiders for finding a nice balance between naturalism and down-home folksiness. Having David Morse at the helm helps. The show returns tonight for its second season, where the Farrell clan continues to be at odds with their neighboring Appalachian town. Sweet/Vicious (MTV, 10 p.m.): Alex McCown-Levy dubbed MTV’s millennial superhero show “an excellent antidote to Trump’s win” in his pre-air review. Unfortunately, the first season ends tonight, putting Sweet/Vicious on hiatus immediately after our—we’re grimacing as we say it—commander-in-chief has taken office. Tattoo Girls (TLC, 10 p.m.): Departing somewhat from the usual model of the tattoo-reality-show subgenre, Tattoo Girls focuses on the day-to-day operations of Ink Ink, a tattoo parlor that bucks the traditionally masculine aesthetic of most other shops. Uncensored With Michael Ware (National Geographic Channel, 10 p.m.): The gutsy journalist of the title ventures “to some of the world’s buzziest areas” in his new series. The locales in the first season include the highlands of Papua New Guinea, where women believed to be witches are hunted and killed. So think Anthony Bourdain: Parts Unknown, only with a little less food and a lot more tragedy. Teenage Cocktail (Netflix): Although the film almost derails when the plot becomes more about revenge than the emotional pains of teen-hood, this SXSW gem still has a surprising amount of vulnerability for a grindhouse flick.